Added on February 3, 2013 by Kenta McGrath. Recently I was chatting to my friend and fellow film lover Tristan Fidler at a wedding of our friends and fellow film lovers (and filmmakers) Alison James and Zak Hilditch. 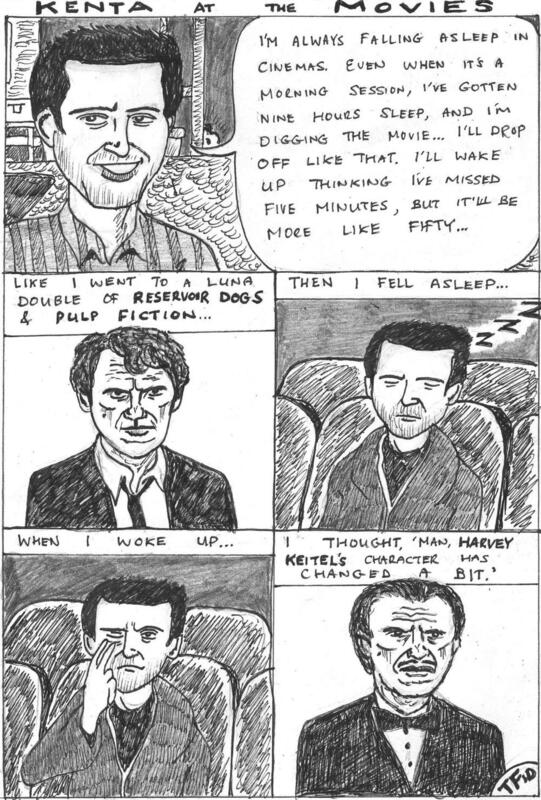 I'd just written my first blog entry and was telling him about the experience of having fallen asleep during a double bill of Tarantino's Reservoir Dogs and Pulp Fiction years ago. Now he's turned that conversation into a comic! You can see Tristan's comics - all of which are single-page, acutely observed snippets of everyday life with his friends, and unabashedly local - at A Rich Tapestry. Tristan also has a film podcast with Leonie Brialey, Heavy Movie Parking Lot.